Babywearing is a time honoured art that is practical, promotes bonding and is safe if done correctly. 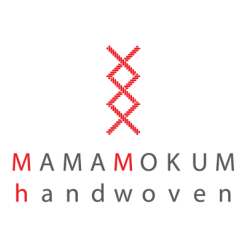 The safety of your baby or small child is your responsibility and Mamamokum Handwoven cannot be held responsible or liable for any accidents that could occur as a result of misusing your baby wrap. • Mamamokum Handwoven baby wraps are intended for use with babies and young children between the weights of 3.5-16 kg (8-35lb). • Always keep one hand on the baby while wrapping and until the carry is securely tied. • Check for ripped seams, torn straps or fabric, and damaged hardware before each use. If found, stop using the baby wrap. • Always check to ensure that all knots, buckles, snaps, straps, and adjustments are secure. • Ensure that the baby is safely positioned in the baby wrap according to the instructions for use as provided in this booklet. • Never leave a baby in a baby wrap that is not being worn. • Check on the baby often. Ensure that the baby is periodically repositioned. • Never use a baby wrap when balance or mobility is impaired because of exercise, drowsiness, or medical conditions. • Never place more than one baby in the baby wrap. Never use/wear more than one baby wrap at a time. • Never use the baby wrap while engaging in activities such as cooking and cleaning which involve a heat source or exposure to chemicals. • Never wear the baby wrap while driving or being a passenger in a motor vehicle. Please follow these important considerations while wearing your baby, and follow the T.I.C.K.S rules for Safe Babywearing (copied below with permission of the UK Sling Consortium).Please do not hesitate to contact us for further information, or if you have any concerns.